BTE Communications offers businesses in Tacoma, Washington, comprehensive, 24-hour call center services at cost-effective rates. 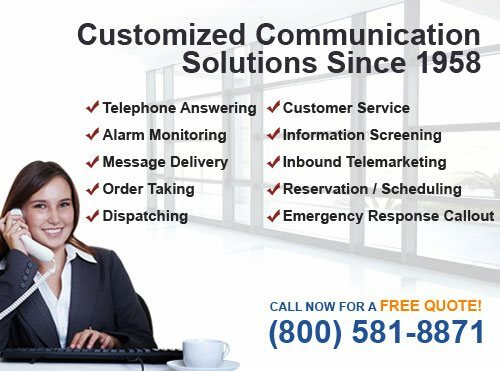 Since 1958, we have provided thousands of satisfied clients with courteous and professional phone answering, voice mail, dispatching, alarm monitoring, emergency response coordination, inbound telemarketing, order taking, virtual receptionist, information screening, and customer service. All of our call center solutions are 100% customizable and capable of helping Tacoma business be more cost efficient, professional, and responsive to customer needs. With over 50 years of experience providing phone answering services to businesses of all sizes and types, BTE Communications understands the importance of answering every call in a timely manner, getting every message, and providing exceptional customer service. Our highly trained live operators can be trusted to handle all calls courteously and professionally. They'll pick up calls within the first three rings and be available 24 hours a day, 365 days a year. We also have agents who are proficient in both English and Spanish, and have access to a 24/7-translation line. Our operators are comfortable listening to callers, typing up relevant information accurately, and following call scripts—all at the same time. Our call center uses the latest CMC software and hardware. Additionally, we're constantly updating our technology to ensure that our clients are getting the best service in the industry and access to all of the latest communication features. At BTE Communications, we can also seamlessly incorporate your existing communication devices into our system, so there is no additional equipment to buy. BTE Communications has served businesses in a wide array of industries such as oil drilling, property management, municipal, equipment rental, bail bonds, legal/attorney services, medical, health care, towing, plumbing, HVAC, and many more. No matter what type of business you have, call BTE Communications today to customize the perfect answering service plan for your business in Tacoma. 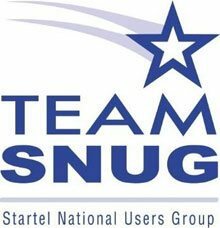 We're proud to be a member of Startel National Users Group (SNUG) and Association of Teleservices International (ATSI). 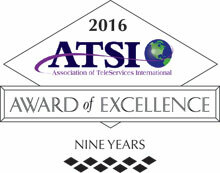 BTE Communications has provided professional dispatching services since 1958. Whether your Tacoma business needs someone to send out a serviceman for a plumbing issue or dispatch emergency medical service, the highly trained live operators at our call center will be standing by 24 hours a day, 365 days a year to answer all your important calls. At BTE Communications, each one of our employees is trained to answer urgent calls with promptness and efficiency as well as execute all instructions in accordance with each company's procedures and call script. Our excellent service record with many companies in Washington is a testament to the care with which we handle each call. Contact us today to find out how BTE Communications can provide affordable and easily customizable dispatching services for your business in Tacoma. Our customizable voicemail service can help you to efficiently manage your incoming messages in a way that best benefits your Tacoma business. With our voicemail service, you'll be able to access your voicemail from any phone 24/7, reroute urgent messages directly to you, or redirect messages to an automated phone tree. You'll also have the option of having voicemail messages delivered immediately via cell phone, fax, email or text, or delivered in a batch when it fits your schedule. With BTE Communications, setup is easy, activation can be instant, and contracts are monthly. Let the telephone answering service professionals at BTE Communications help you create a custom voicemail solution for your business in Tacoma, and you'll never miss an important message again. BTE Communications can provide Tacoma business owners with information screening services that make it easy for them to screen job applicants, clients, or tenants. To make this service cost effective, we will provide you with a designated phone number to use, follow your call script exactly as provided, and then forward callers or caller information according to your preferences. We offer call forwarding to voicemail or call rerouting. Call today to learn more about our information screening services available in Tacoma. For over 50 years, BTE Communications has been providing virtual receptionist services. This service has been beneficial to businesses of all sizes, from one-man operations to large corporations. Because we operate 24 hours a day, 365 days a year, and charge by how much you use us, we can often be more cost effective than having on-site receptionists. With a virtual receptionist, you'll have agents who can route your calls, provide general customer service, and help schedule appointments, without having to worry about vacation and sick time, hiring, training, and supervision. 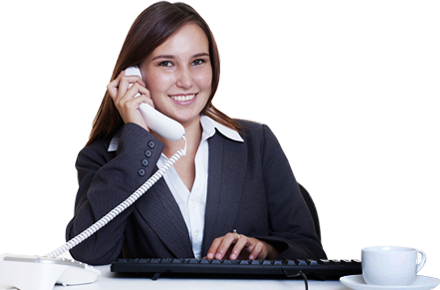 All of our phone agents have already been carefully screened and thoroughly trained. On average, they have 5 years of experience working in our call center and have all signed non-disclosure agreements. They consistently answer each call promptly and carefully follow the appropriate script. Call today to customize your virtual receptionist needs in Tacoma, Washington. For a quick, well-coordinated response in the case of an emergency, have BTE Communications monitor your alarms. We have integrated our call center services into the contingency and emergency response plans of hundreds of businesses and have a reputation amongst those who work on oil fields for providing the best value when it comes to alarm monitoring and emergency response coordination. Our call center operates 24 hours a day, 365 days a year so that we can ensure your business will have highly trained live operators fully prepared to contact and coordinate the necessary teams to respond to emergencies at your company in Tacoma. Our 24-hour call center has served as the inbound telemarketing center for many companies over the years. By answering questions, handling orders, and taking payment information, we are able to assist clients from Bakersfield, California, to Tacoma, Washington, with any sales campaign, particularly those that advertised via television commercials, print ads, internet marketing campaigns, and more. To personalize your calls, our staff will answer your calls using your company's name and call script. Since 1958, BTE Communications has been trusted to take accurate orders and payment information. We have thousands of satisfied clients, and are readily available to offer our services to those in Tacoma, Washington. Having a third-party, 24-hour call center handle your orders can help drive more sales, respond faster to increases in call volume, address staffing challenges as you grow your business, increase customer satisfaction, and improve your cost efficiency. With our order taking services available 24 hours a day, 365 days a year, your clients will have easy accessibility to any assistance they need and a more satisfying shopping experience. Rely on the highly trained staff at BTE Communications to provide the order taking services your Tacoma business needs. Rely on BTE Communications to provide the excellent over-the-phone customer service you need. With over 50 years of experience, we understand that customer satisfaction is an integral part of the success of any business. This is why our telephone answering service is available 24 hours a day, 365 days a year, and our live operators are trained to personalize each call. You can rest assured that your customers will be well taken care of. We'll address your customers' concerns and ensure all issues are handled in a professional and courteous manner according to your approved call script. Call today to explore having BTE serve as your Tacoma business's virtual customer service department. Trust BTE Communications to provide alarm monitoring services with emergency response coordination services for your oil field company in Tacoma. Since 1958, we've served thousands of clients from high-risk industries such as oil drilling and have perfected our call center services to serve their specific needs. In most cases, this means 24-hour remote monitoring of your alarms and specific callouts for a variety of emergencies, such as earthquakes, fires, explosions, gas leaks, oil leaks, and more. Our call center utilizes the industry's leading communications and emergency response technologies so we can provide you with the immediate help you need. When an urgent call comes in, our highly trained operators will be able to identify the location and type of emergency. From there, they'll follow the specific protocols outlined in your emergency protocol. Call today to learn more about our call center services offered to Tacoma oil drilling companies. BTE Communications is HIPAA compliant and we ensure that all our operators sign agreements to not disclose information they learn while on the job. At BTE Communications, we'll personally work with you to develop a dispatching plan that fits your company. Call today to learn more about how we can help increase your business's productivity with our dispatching service in Tacoma. 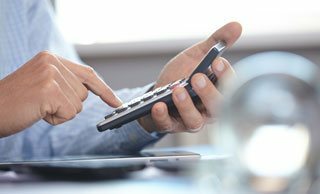 We'll work directly with you to determine what services will meet your needs and fit your budget. Plans can range from advanced voice mail to comprehensive, 24-hour phone answering services. No matter what type of plan you choose, you'll benefit from having an experienced call center with state-of-the-art communications technology and highly trained phone agents represent your company in Tacoma. Call today to speak with one of our dedicated account managers about customizing a solution for your phone answering service needs in Tacoma.